Quick release metal bracing bar. Used with wide or narrow band mops. 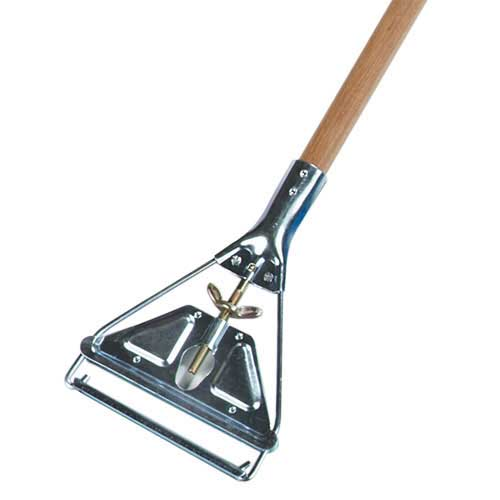 Choice of 60” hardwood or plastic coated steel handle.